A new Honda Odyssey Concept will debut at the Chicago Auto Show as a thinly veiled peek at the replacement for America's favorite minivan. 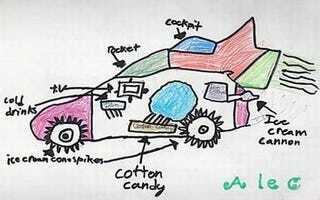 These kid-created concept drawings are definitely more exciting. On-board cotton candy machine? Brilliant.